We are all students. If you are not learning something new in your field then you are going backwards. Despite having over 12 years of investment experience, working in the US and Ireland, advising private and institutional clients, my study of impact investing and the wider theme of responsible investing really began when I arrived in Guatemala in May 2017. What I mean by that is my leap from a high level understanding of the subject to a deeper exploration into the minutia through practical experience, research and some philosophical thinking in the context of the wider system. I first wrote on impact investing in June of last year after meeting with Julio Martinez Anderson, Director of Acceleration at Pomona Impact, an impact investment firm in Antigua, Guatemala. That meeting ultimately led me to joining Alterna Impact in Quetzaltenango, Guatemala a few months later to assist in the development of their investment process. Since then I have continued to research and write on impact investing and the broader responsible investing theme as I conceptualise my own thoughts on the practical application within business and investments. 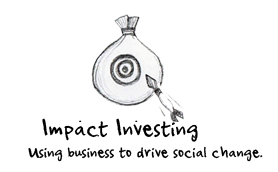 Delving deeper into impact investing it became clear very quickly just how vague the sector is, the loose definitions and inconsistent impact measurement methods, with much time spent debating with colleagues what actually qualified as an impact investment and how return and impact interacted. They made for interesting debates but for me the fact there is still such divergent views on what impact investing stands for, even among the people working in the sector, is symbolic of a sector evolving. Intention is not enough; there needs to be some form of explicit and measurable commitment to delivering a social or environmental impact. By establishing a term you are in effect looking to define a category of investment. However the broad definitions, lack of consistent methodologies and the high level of subjectivity applied has ultimately resulted in ‘the current impact investment landscape being broad and fragmented’, as recently described by the Principles for Responsible Investment in their recent “Impact Investing Market Map” report. Since there is no one framework for defining and measuring the social or environment impact return of an investment or even an agreed minimum standard for an investment to be considered an “impact investment”, the term has become wide encompassing, from social impact bonds directly targeting social challenges, development type financing in emerging countries to more traditional looking venture capital type investments and most recently the arrival of institutional funds investing in publicly traded companies. Just as we have seen corporate social responsibility become a marketing exercise for many companies, there are claims that “impact washing” is occurring, a term used to describe those organisations advocating an impact philosophy but who in reality are looking to take advantage of the wave of interest from millennials and others in socially responsible investing. Of course, this practice is made easier for new entrants by the vagueness and inconsistent approaches applied by existing players in the sector. Back in Guatemala one of the things I emphasised to Alterna was that if they and other impact investment firms in the developing world wanted to drive the broader definition and direction of impact investing it was crucial that they articulate a consistent impact investment philosophy – including definitions, metrics and standards to uphold companies to etc. – and to vocalise it publicly. Otherwise, the traditional financial sector would be the ones to move the theme forward and on their terms. I think that is what we are seeing. In August, the Principles for Responsible Investment launched its Impact Investing Market Map report with the goal “to bring more clarity to the process of identifying mainstream impact investing companies and thematic investments so that asset owners and fund managers can better assess opportunities in this market”.